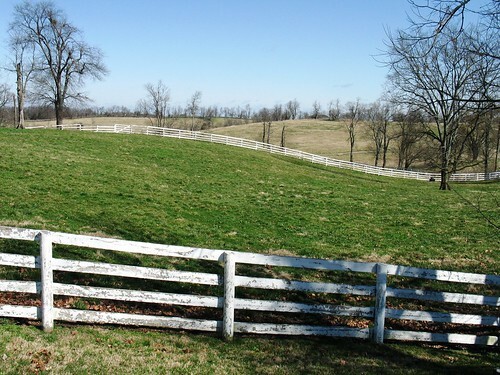 What’s the first thing you think of when you think of Kentucky? Having just spent a week in this fine American state, I can tell you, times are changing. While the state still has obtuse liquor laws (yes, there are wet and dry counties, and even an in-between category called “moist”), pretty much everything I saw in Kentucky was on par with, say, more well known cities like Philadelphia. The state’s largest city, Louisville, is a happening hub of fine cuisine and nightlife. Today, though, let’s head towards the centre of the state and talk about Kentucky’s oldest city, Harrodsburg. When compared to other countries, “oldest” doesn’t mean much – Harrodsburg was founded in 1774. But that was 18 years before Kentucky even became a state; before that, this was the most western county in Virginia, one of the original American colonies. I’ll close our history lesson with the reason why everyone seemed to be falling over themselves to get here. That’s because Kentucky has miles and miles of fresh drinking water, much of it filtered naturally by the limestone that covers the country. And thus, Harrodsburg sprung up quickly. Harrodsburg is just a couple of hours drive from Louisville (mostly on expressway, but you can take slow country roads for a bit more scenery). Upon arrival, you might not believe it’s the state’s oldest town, because it’s such a small city, with only a few churches and historic façades to remind you of its historical significance. Don’t you worry – there’s lots of stories hiding. 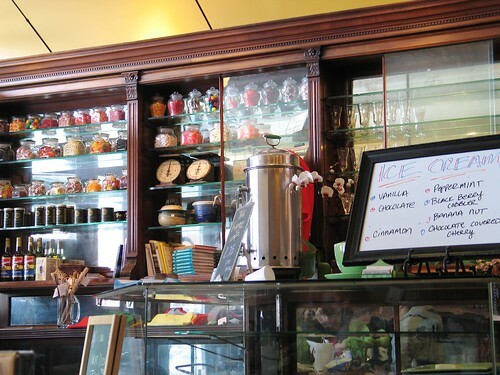 First, after that long drive, grab some refreshments at the town’s old fashioned soda fountain, called the Kentucky Fudge Company. Piping hot sandwiches, ice cream – just the treat a traveller needs. The old main street in town also has a few kitsch shops, though nothing is still a nickel or dime. The pace is relaxed, enjoyable. And if you’re looking for a bit of excitement, you won’t find it here – though you should wander over to the Beaumont Inn. It’s Kentucky’s oldest family-owned inn, and while it isn’t the cheapest bed in town, you’ll want to check out their newest addition – the Old Owl Tavern. If you’ve been wondering what all this bourbon stuff is about, the friendly folks here have more knowledge than you could ever want. Take a look at the prohibition era cocktail list for some ideas, or just ask for a recommendation. The tavern’s menu is cheap, cheerful, and tasty. 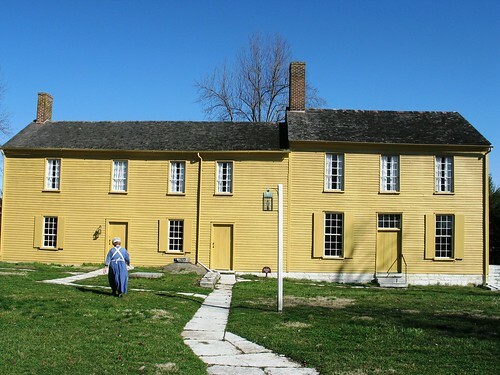 Harrodsburg is set in the countryside, and if you do some exploring you’ll find lots of interesting places to learn more about Kentucky history. One such spot is the Shaker Village, the largest restored Shaker community in the United States. I’ve heard of the Shakers – and their famous brooms – but this was certainly a much more vivid explanation of the rise and fall of this community. The village has a wonderful on-site restaurant, exhibits, and you can even spend the night here in one of the old homes. Another option is a trip to High Bridge. The town is named after a rail bridge that was once the tallest bridge in the world. The trip here is interesting because you’ve got to use your GPS – the roads twist and turn to get to the point across a fairly deep chasm where the bridge crosses. It’s a wonderful reminder of how despite all our modern technology, sometimes we are subject to Mother Nature’s whims. Plus, you’ll get to see plenty of incredible scenery along the way – limestone cliffs, clear streams, and miles and miles of gorgeous green grass. That’s the real Kentucky.